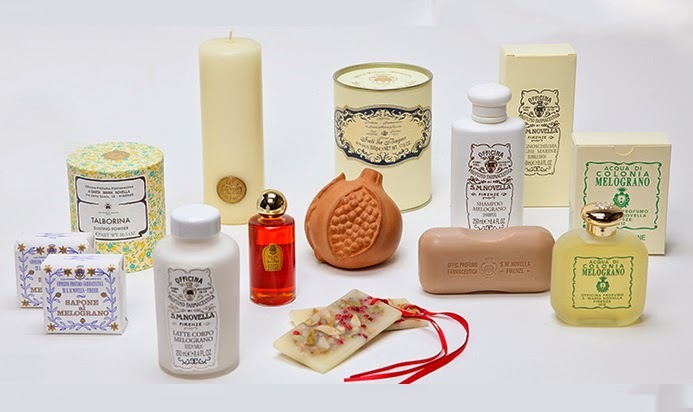 The Officina Profumo Farmaceutica di Santa Maria Novella was established in Florence in 1221 by Dominican monks who cultivated medicinal herbs in their gardens and used them to prepare balms, ointments and pomades for their convent’s infirmary. In the 18th century fame of the products and formulas developed by the apothecary fathers reached as far as Russia, the Indies and China. Today, after 400 years of uninterrupted business, tradition is perpetuated and renewed by continuing use of the finest raw materials and by by following the artisanal procedures established by the Dominican monks.